Detailed information regarding incubation can be found by Clicking on the link to download the pdf. 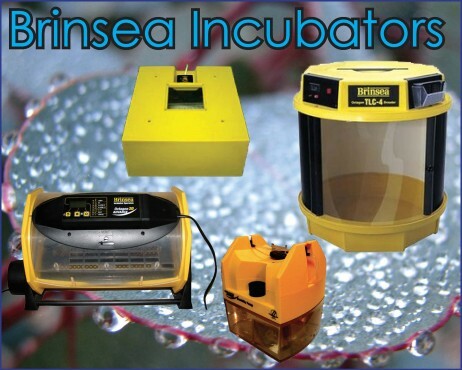 For more information about incubation and husbandry products, please click on this link. Please don’t hesitate to contact us directly for more information. 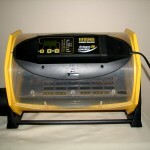 Microprocessor controlled temperature; dial up humidity system; programmable turning system; high temperature alarm sounder, and automatic heater cut out to prevent damage to eggs. 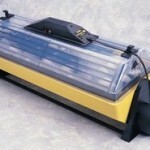 Temperature and humidity control, all round vision and easy cleaning. The A.B. 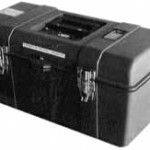 12v DC Portable Brooder has been developed to provide a well insulated cabinet to conserve electrical energy from a vehicle or battery supply, while allowing the chicks to travel in comfort at a brooding temperature. The A.B. 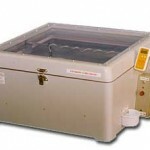 Newlife 75 Portable incubator is a specialist unit for transporting eggs during incubation. 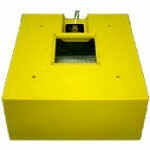 560mm x 550mm x 300mm. The Octagon 20 Advance incubator builds on decades of success of earlier Octagon 20’s with an all new intelligent design combining latest digital and materials technology with Brinsea’s 30 years of experience. 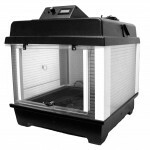 The result is an easy to use, accurate and high performance incubator with exactly the right controls to give the hatching results you need. 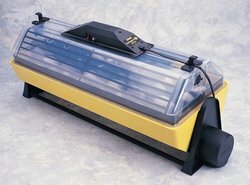 The Octagon 20 Advance EX is an Octagon 20 Advance incubator with the matching Humidity PUMP module to maintain total control of the incubation humidity level and additional foam lined egg dividers to protect fragile or damaged eggs and remove the any effects of jolts from the turning system. 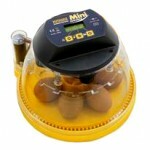 Improved control for valuable or hard to incubate eggs. 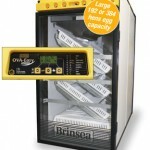 The Brinsea Mini Advance provides automatic egg turning with autostop 2 days prior to hatching, countdown to date-of-hatch and temperature alarms on its digital display so you always know the status of your hatch. Temperature control is provided by Brinsea’s proven proportional electronic system which gives very accurate and stable control unaffected by voltage variations and changes in barometric pressure. 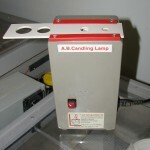 Automatic turning and accurate and stable temperature control. 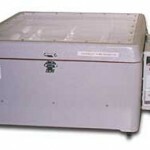 Full function, reliable, versatile incubator with twice the capacity of the Octagon 20. 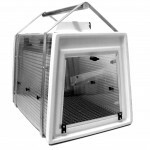 The advanced Octagon Thermal Life-support Cabinet Brooder, with double skin insulation, temperature control, and positive pressure ventilation. 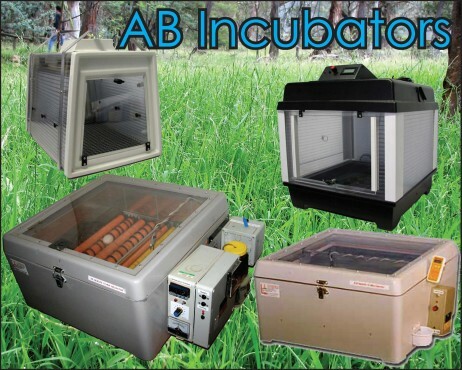 We offer a huge range of parrot breeding incubation accessories. Please click on the pictures for links to direct sales. 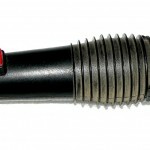 The OvaView is designed to be either hand-held or can be left on a work surface. 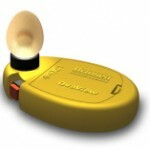 Battery powered for convenience it uses high output high efficiency LED illumination – so no bulbs to replace and no concerns about overheating the eggs during inspection. Supplied with a flexible black ring to seal against the egg shell and a set of 4AA batteries, it can be used with rechargeable AA batteries. 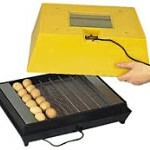 The Egg-lume is a scientifically designed purpose made lamp for inspecting the embryo development during incubation. 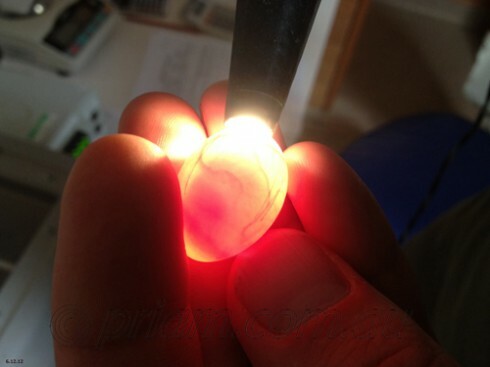 The development of this lamp has taken place over the past ten years and it may be used in either the upright position with the egg above the light source or with the light exiting the box horizontally and the egg held against the slide, allowing a more complete view of the embryo’s features. 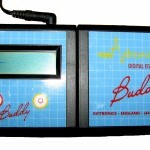 Using infrared transmitters and sensors Buddy is capable of amplifying the cardiovascular signal of an embryo with in the egg by as much as 20,000 times. 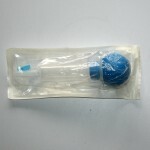 This allows you to detect the actual heartbeat of the embryo as early as 5 days after incubation has started. 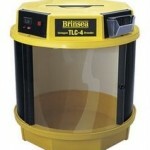 A very accurate, easily read instrument specifically designed for incubators with a range of 32° – 40°C (90º to 104ºF). 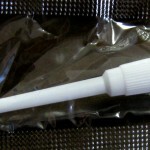 Ten times more accurate than most digital thermometers, it reads to 0.1ºF with an accuracy of ± 0.2ºF. 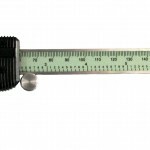 A precision instrument for extremely accurate measurement of egg dimensions.